Accutron Calendar. I am not sure the model 26 363 is a match, since this watch is 18k. If you look to the first ad watch 26 351 it states 18ct, and 26 363 does not. Otherwise the watch looks very much like the ad. so did it come with a leather band originally? is it worth repairing and getting working again or just scrap? Nice watch. What is the hallmark? For now I'm going w/ Accturon Calendar. Hello serial, welcome to myBulova. You have brought us a very nice Accutron. 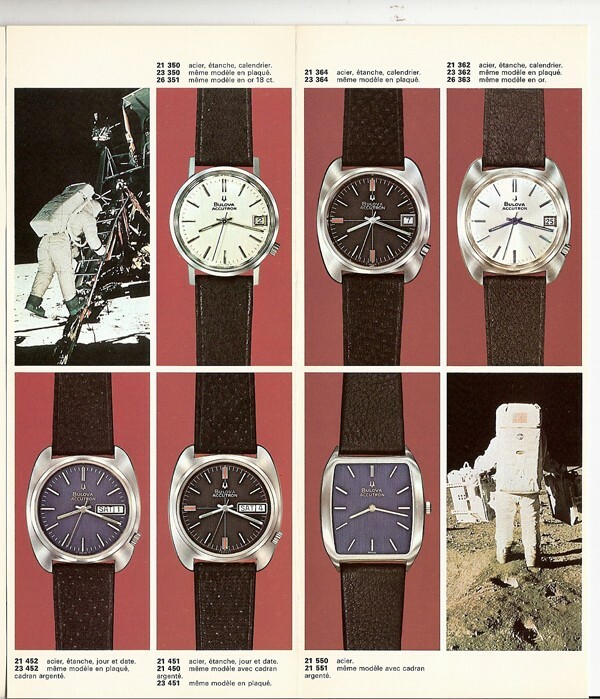 1969 Bulova Accutron Calendar is my vote for the model. i am going to throw a new battery in it and see if it works. Installing a new battery is worth a try but I couldn't help noticing that the battery in your photo is installed improperly. Polarity of Accutron tuning fork movements is the reverse of typical quarts watches. The + side should be installed in the downward direction. 344 would be the correct battery number for the 218 series of Accutron movements.